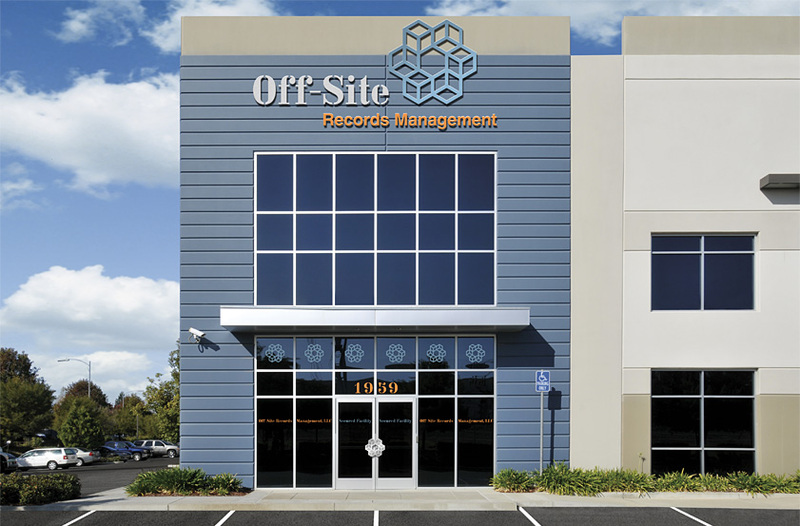 Off-Site required a cohesive exterior signage program to provide a seamless experience for customers visiting its storage facility. 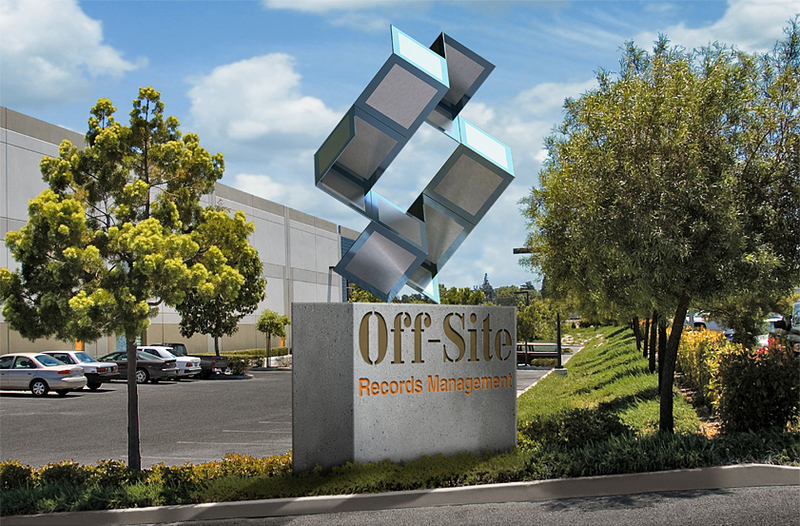 The monument sign signals the entrance to the Off-Site Records Management facility. 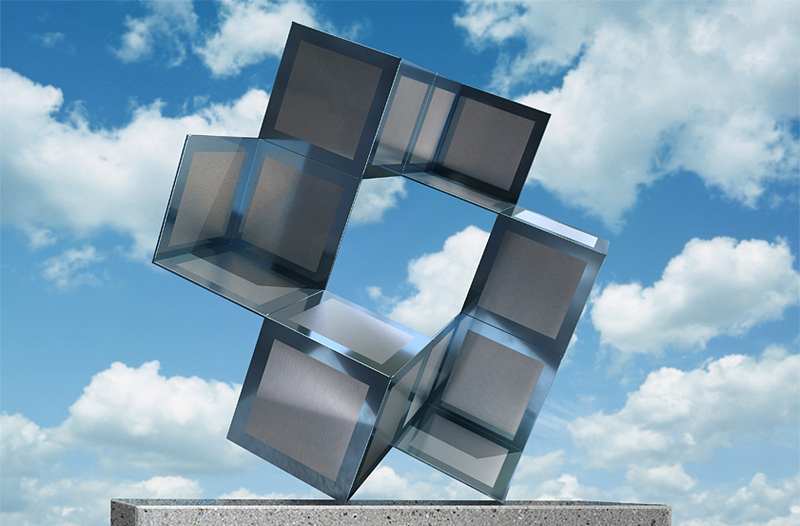 The dimensional form of the logo provides a different view from all angles, representing the multi-dimensional range of services the company provides to its customers. 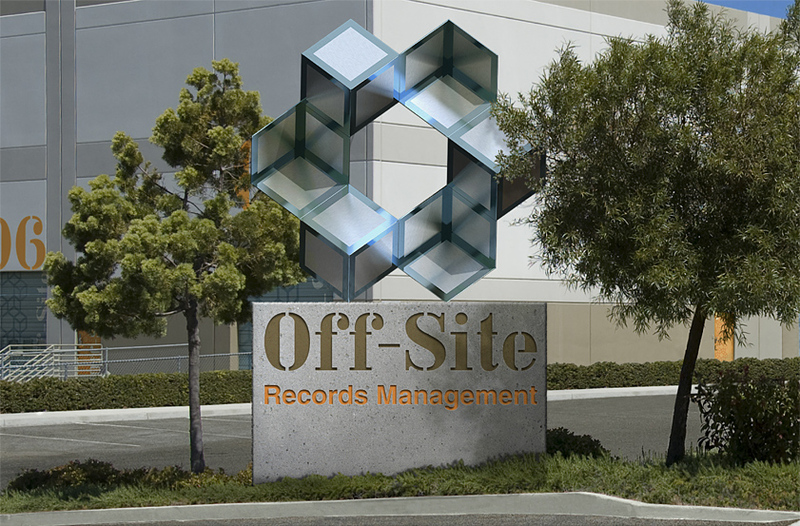 The laser-cut building identification signage is composed of anodized aluminum. 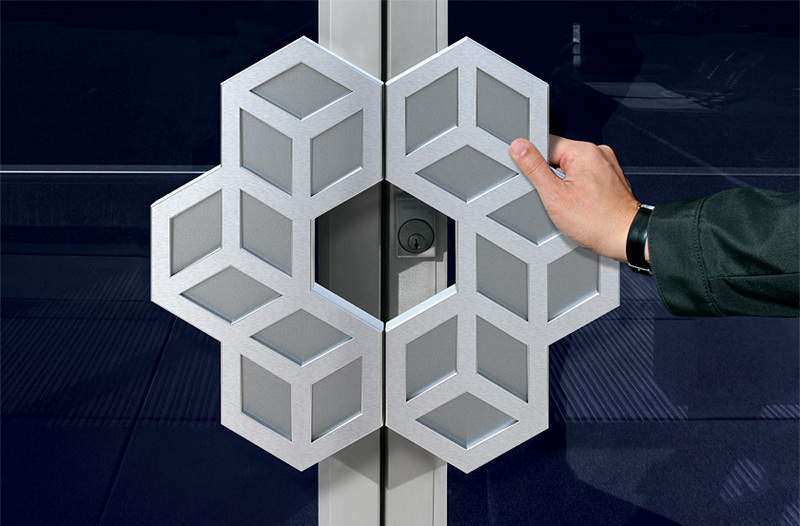 The logo form creates a unique and memorable door handle. 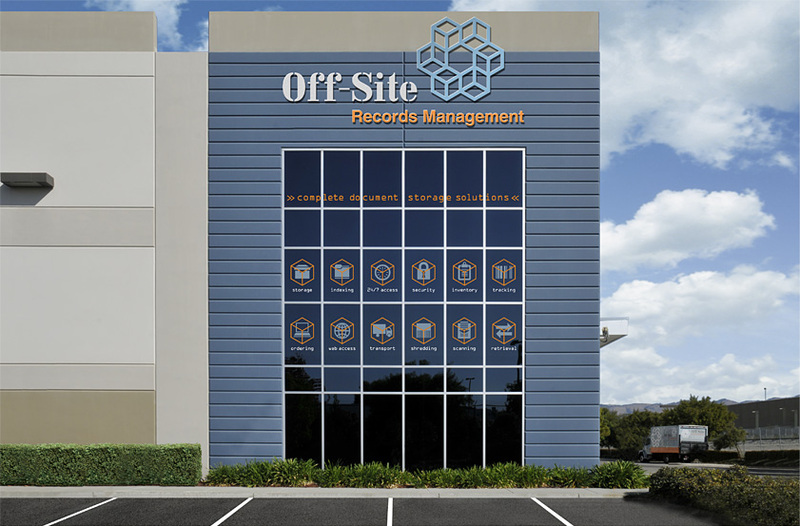 The 40' windows display vinyl icons representing the firm’s complete range of document storage solutions. 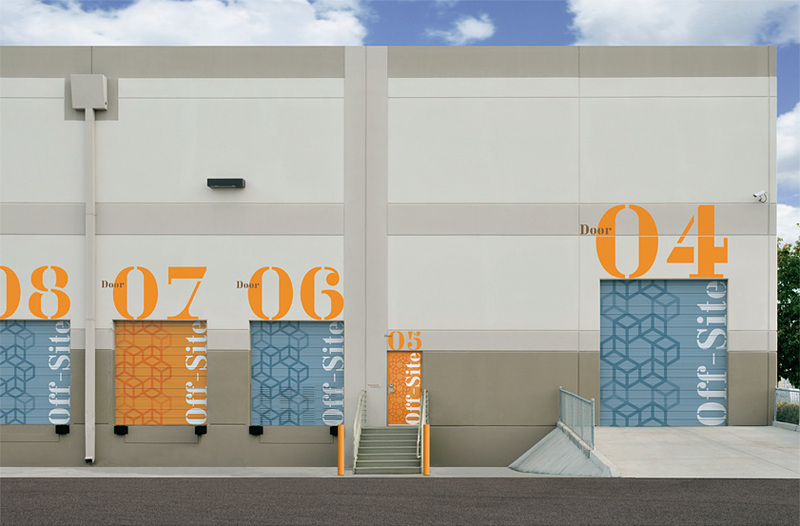 The super-graphic loading dock signage enables customers to identify the appropriate door at a distance. 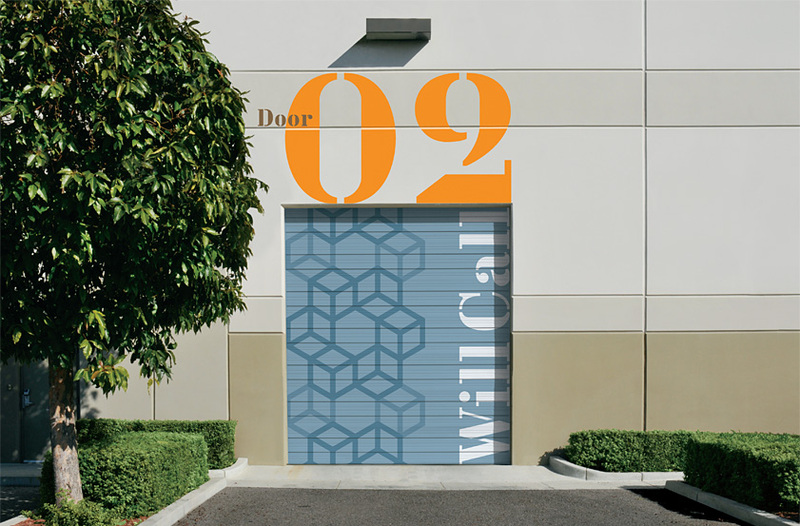 The logo is used as a decorative pattern on the roll-up doors to enhance the building’s appearance and extend the brand.